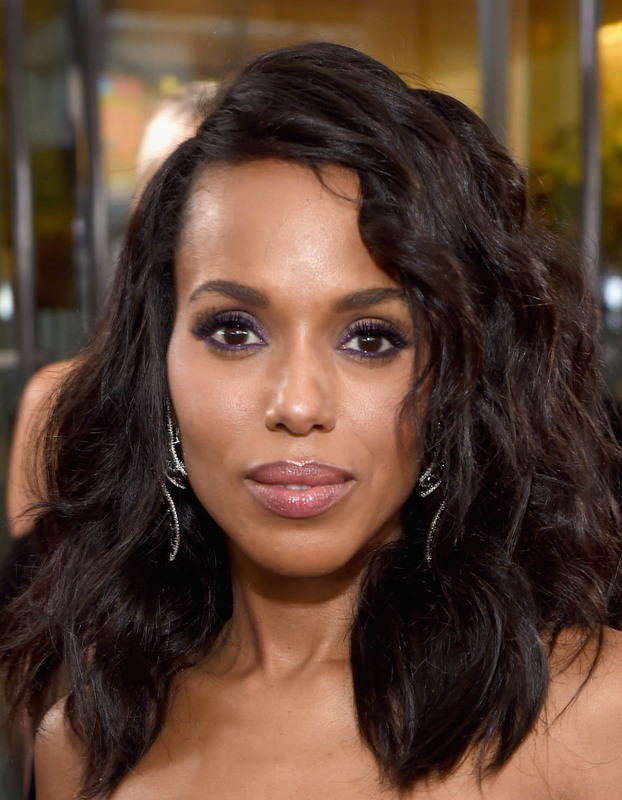 Unpopular opinion ahead – Kerry Washington does not get the credit she deserves. Yes, she’s the lead on an incredibly successful show, a wealthy actress with beauty privilege who is, as Lainey once pointed out to me, the queen of endorsement campaigns. I’m not saying she’s suffering. But there are many women like her in similar positions who don’t, FIRST of all, have their NAMES misspelled constantly! It’s K-E-R-R-Y. Like the democrat. I don’t know why so many people in the press, who should know better, I might add, constantly default to ‘Keri’ or ‘Kerri’ or… I didn’t see ‘Kery’ *last night*, but I have. Then, too, I think we take for granted what a great speaker she is. We’ve conflated her at this point with Olivia Pope, who never met a staccato sentence she couldn’t enunciate each syllable of, but every awards show reminds us that there are dozens of paid-by-the-millions actors who can’t string words together when left to their own devices. Or who don’t practice. She did the same thing in a predictably frustrating interview with Ryan Seacrest where he asked her what she had coming up next and seemed surprised that everything she mentioned involved something she was producing (conceivably, she will perform in some of it) instead of saying ‘you can see me next in…’ and supplying a name. Somehow she manages to do it smoothly. Maybe ‘not turning into a rage bucket’ is a baseline for the kind of success she’s had, but I still say it’s a bigger deal than we make it out to be. How many stars can you think of who are more famous but couldn’t do it as well?